Welcome to the 3rd annual Outdoor Extravaganza! This time, I decided to change things up a bit and share a Garden Themed Hostess Gift for my project instead of a pot or planter. Such an easy and inexpensive, yet thoughtful way to say “thank you” to your party hostess this spring or summer. Now that you’ve seen my project, be sure to check out what the other Outdoor Extravaganza hostesses have been up to. Comments and shares are always nice to see! 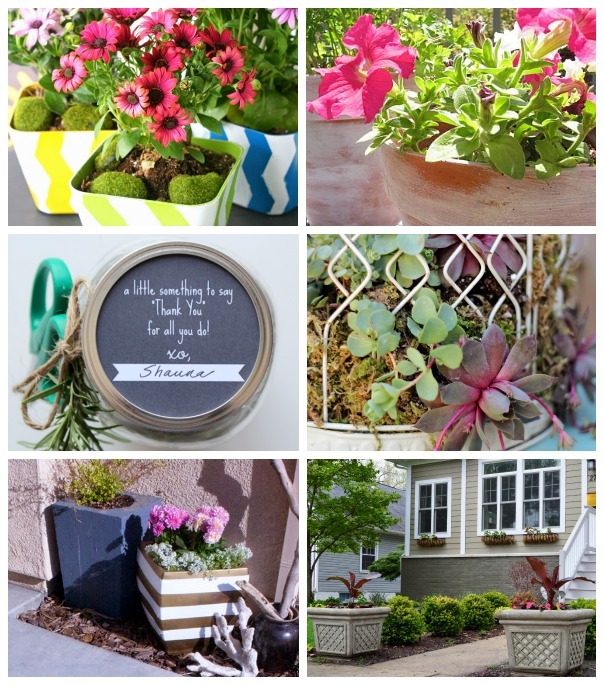 Link up your outdoor plants & flowers projects- old and new. Your project(s) will show up on all 6 blogs! I’ll be sharing my top Plants & Flowers Project Picks on Monday, so watch for yours! There’s also an Outdoor Extravaganza Pinterest Board you can follow for all kinds of outdoor project ideas. Be sure to come back next Wednesday for the Outdoor Decorating Link Party! 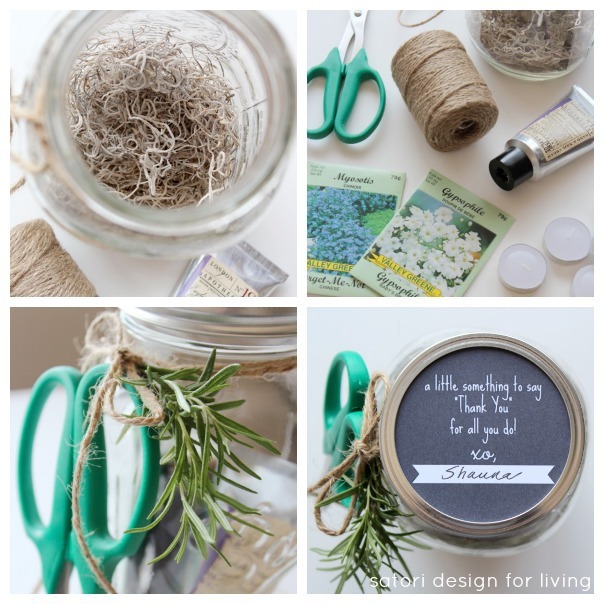 Just added my links… love this party, all the ideas make me want to get outside and garden! Thanks for stopping by and sharing your gorgeous projects! Thanks for hosting Shauna. Have linked up my container water garden and strawberry pot succulent planter projects. I love gardening and am so excited to check out all these other projects. Thanks for sharing! Gardening is a passion of mine, too, and I’m enjoying all of these projects! Thanks for stopping by. Have a great week too! I love the hostess gift, what a great idea! The rosemary adds such a nice touch! Thanks Amy. A sprig of lavender would be lovely too, don’t you think? This is just what I need to get me in the gardening mood! Very inspiring!